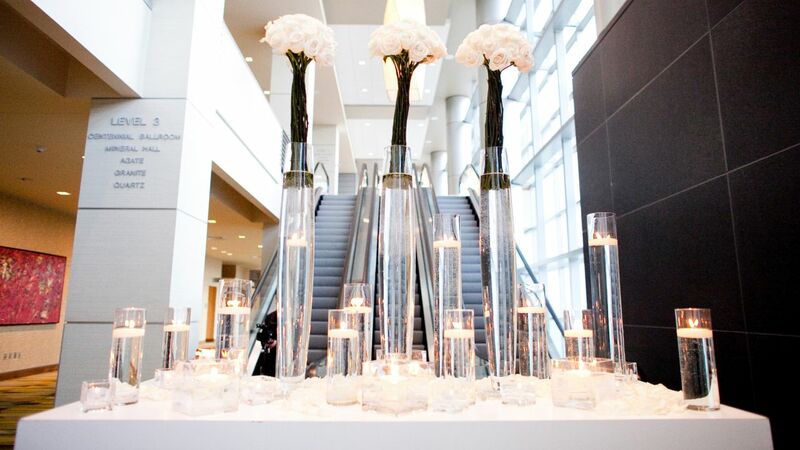 Celebrate in downtown Denver’s most elegant and stylish wedding venues while enjoying the convenience of customized packages and personalized service to make your event at Hyatt Regency Denver unforgettable. You deserve a one-of-a-kind celebration in some of downtown Denver’s most stylish and lavish wedding venues. 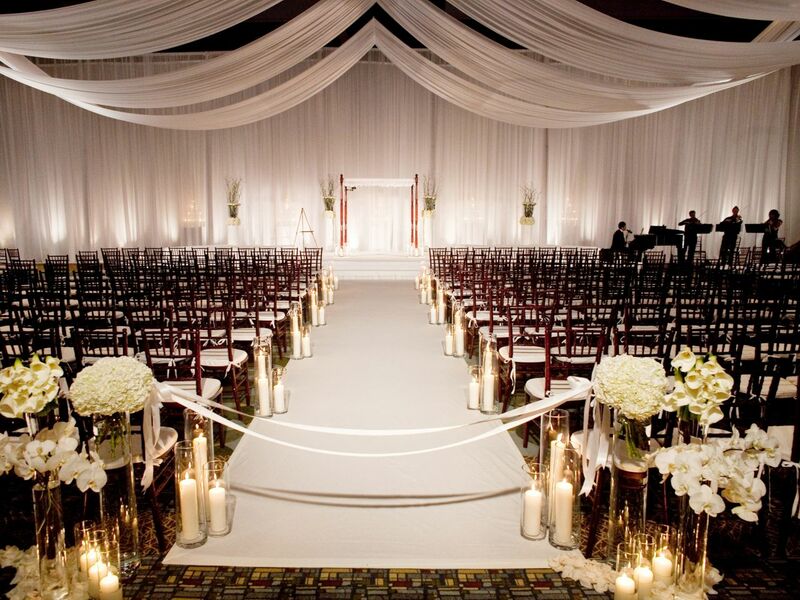 Let our experts help you craft the perfect ceremony and reception, from intimate outdoor occasions to grand galas in one of the region’s largest ballrooms. Reserve discounted room blocks for out-of-town guests with a personalized booking link. Your dedicated specialist is on-hand to coordinate the details and recommend local vendors. Personalize your cake with our pastry chef or work with us to arrange your own from a Denver bakery. Let the enchantment begin at Hyatt Regency Denver with wedding locations offering a range of choices with so many possibilities. Plan a dramatic formal affair or an elegantly casual event. No matter what your style and budget, our wedding venues offer the ideal setting for your upcoming nuptials. Every couple deserves the wedding—and honeymoon—of their dreams. Celebrate your special day at Hyatt and earn free nights on your honeymoon. Now there’s even more to love about your wedding at Hyatt. When you celebrate your wedding at a participating Hyatt hotel, you can earn free honeymoon nights at any Hyatt Hotels & Resorts location worldwide — from authentic resorts that capture the essence of the destination to exciting city hotels across the globe. Simply request offer code HMOON and enter into a contract by December 31, 2022 to hold your wedding or commitment ceremony at a participating Hyatt hotel and you will earn World of Hyatt Bonus Points redeemable for free nights with no blackout dates at Hyatt hotels or resorts worldwide. To begin planning your wedding, contact a Hyatt Wedding Specialist or click here and request offer code HMOON. The number of points required for a free night is subject to change at any time without notice. Qualifying planners who are World of Hyatt members may also be eligible for World of Hyatt bonus points. World of Hyatt free night redemption is available via worldofhyatt.com or by calling 1-800-30-HYATT. Free night award reservations are valid for standard rooms only and are based on double occupancy. Additional guests may be subject to additional charges. Free night award does not include incidental charges, applicable taxes, gratuities or service charges. Hyatt reserves the right to alter or withdraw this offer at any time without notice, where required, Hyatt will offer an alternate offer of similar value. This offer is subject to the complete World of Hyatt program terms and conditions. Offer is void if hotel ceases to participate in World of Hyatt in the time between contract signing and wedding date. Void where prohibited by law. Hyatt® and related marks are trademarks of Hyatt Corporation and/or its affiliates. © 2018 Hyatt Corporation. All rights reserved. Let’s start the planning process! Contact us for more information or to schedule an appointment. 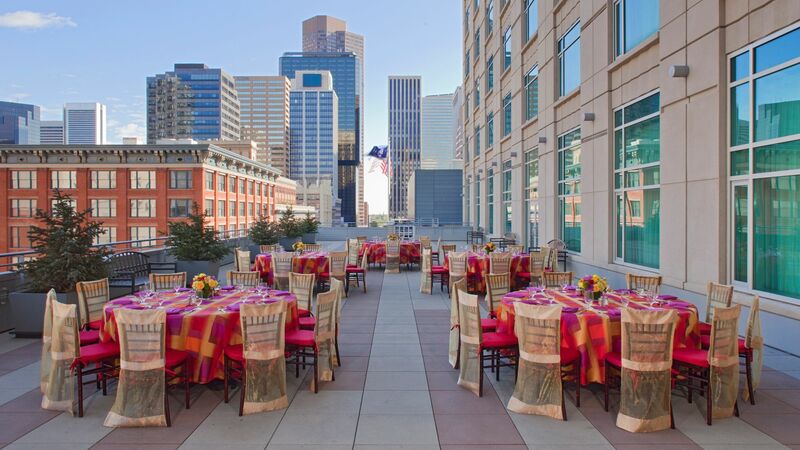 A food and beverage minimum is applied to all events at Hyatt Regency Denver. A non-refundable deposit will be required with the signed contract. Your final balance is due two weeks prior to your wedding. Our menus and pricing are subject to change without notice until a final contract is signed. All food and beverage is subject to a service charge and sales tax. A final number of guests is required three business days prior to your event. This number is your guarantee and may not be lowered. The hotel will prepare meals for 3% over the guaranteed count. Final charges are based on your guarantee or actual attendance, whichever is greater. Can I create my own menu? Yes. Food and beverage experts are happy to create a menu that reflects your wishes. Our experienced team will work with you fulfill your requests. Can I taste all the food before the wedding? Of course. 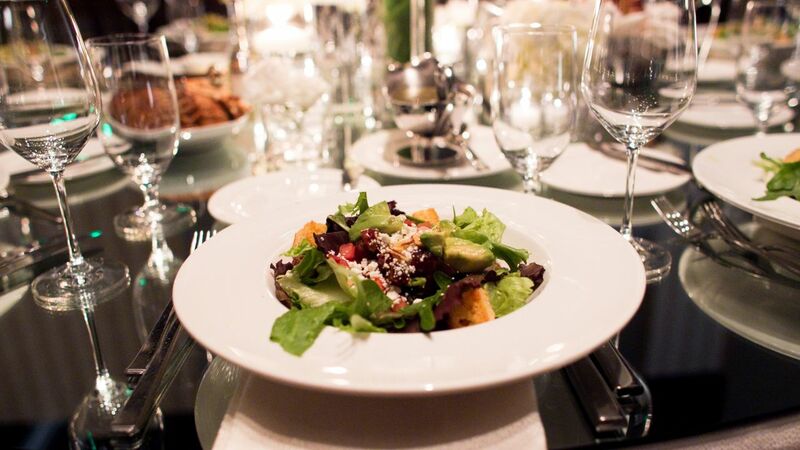 A complete tasting of all the selected menu items will be scheduled several weeks prior to your wedding. At that time, we can make any necessary adjustments. How long will my reception last? Generally, a wedding reception is planned for four hours. You can extend the time if desired. 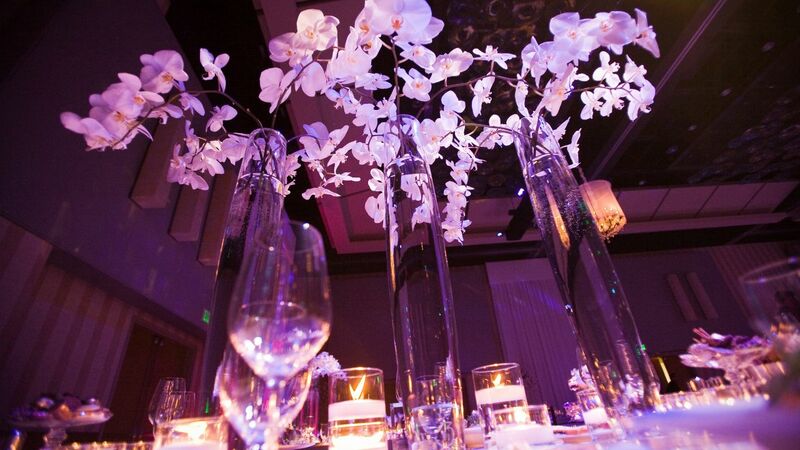 Your wedding specialist will advise any additional costs for the additional time. Can I have an open bar at the wedding? You can elect to have an open bar, a limited selection of wine and beer or a cash bar. 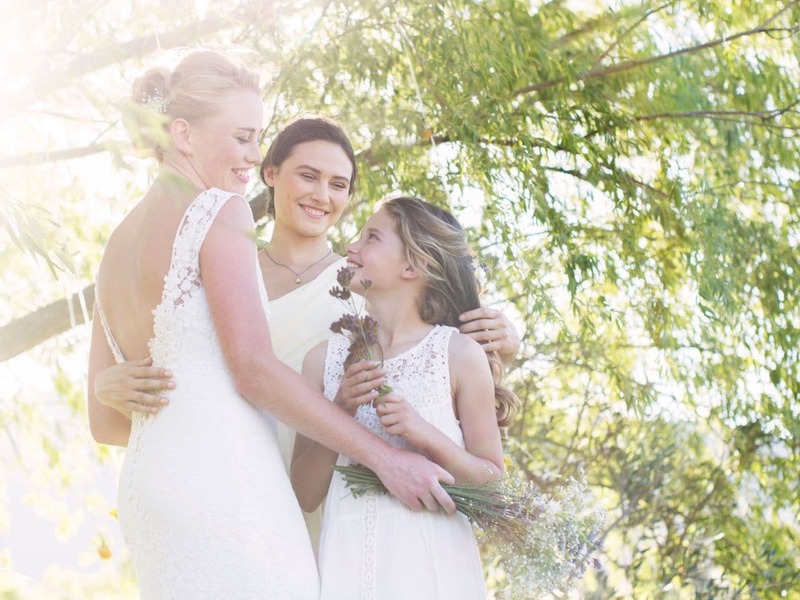 Your wedding specialist will advise you on the costs and inclusions for each. Do you have suggested vendors for flowers, music, photography, etc? Hyatt Regency Denver works on a regular basis with several vendors. We will be happy to give you contact information. Please contact the Catering Department for more details. 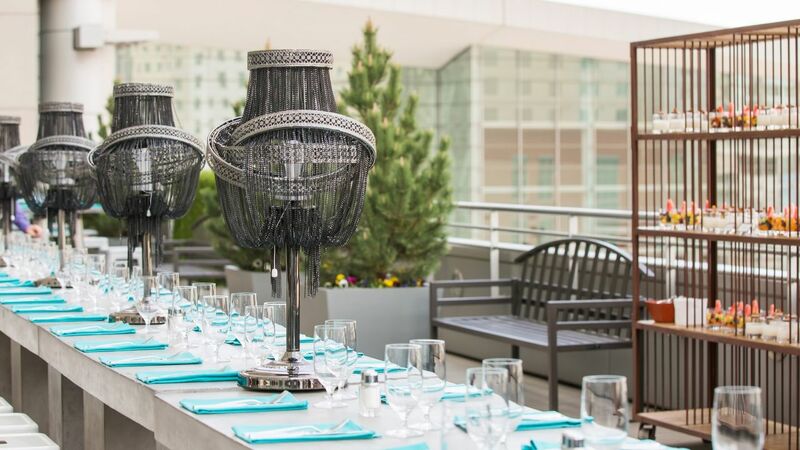 Can I host a morning-after brunch or a rehearsal dinner at Hyatt Regency Denver? Certainly. We have several locations that would be appropriate for these occasions, including the beautiful Peaks Lounge. Are taxes and gratuities included in the pricing? Yes, your contract pricing will include all taxes and gratuities. Please remember, pricing is not final until a signed contract is returned to your Hyatt Regency Denver wedding specialist. Can my guests have a late checkout the morning after the wedding? We will try and accommodate your guests' requests. However, this will be dependent upon the overall occupancy of Hyatt Regency Denver on the day in question. Can I decorate the reception room? Generally, yes. 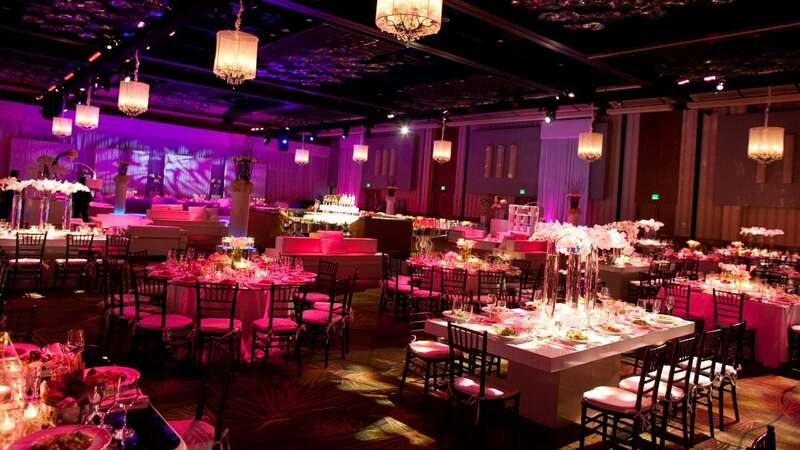 There are certain limitations in some locations, which your Hyatt Regency Denver wedding specialist can review with you. Allow us to give you ideas and suggestions that have been successful in the past.